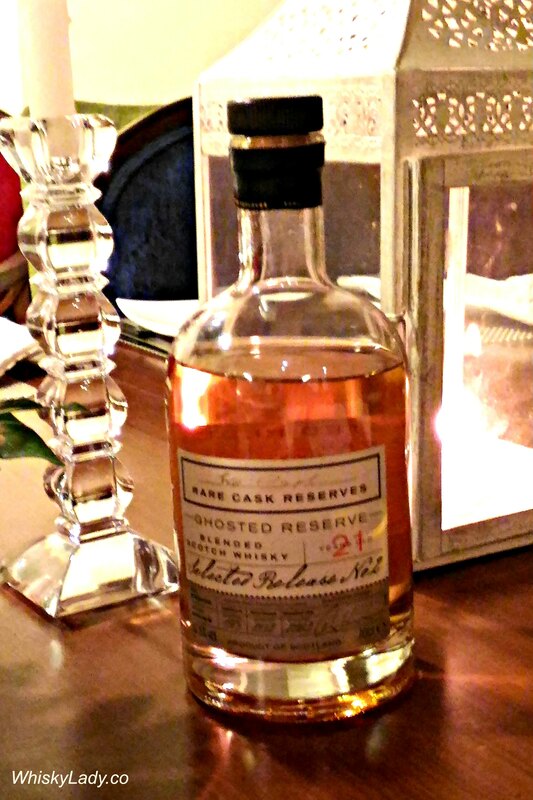 The Ghosted Reserve 21 year was the inspiration for the evening of blends and mystery malts. We tried the 2nd release which features spirits from three closed Lowland distilleries – Ladyburn, Inverleven and Dumbarton. Nose: Very pronounced coconut oil! Lots of bananas, pineapple, some beautiful floral notes, then fully back to the tropics then shifting to more citrus fruits. It reminded us of Malibu coconut rum and piña coladas! It actually reminded me a bit of the Nikka Coffey Grain or Compass Box Hedonism, with the grain elements quite pronounced – in a good way. Wonderfully tropical with coconut the consistent element. For one, this was his first encounter with such a whisky style. For those curious about the distilleries, here is a synopsis about the trio of lost Lowland distilleries. Ladyburn distillery was actually two sets of stills in the same complex as Girvan, a grain distillery. While intended to supply malt whisky for the Grant blends, it was operational for less than a decade. One can find a few rare bottles of Ladyburn whisky bottled under the name Ayrshire, named after the area where Girvan is located. Located on the border between the Highlands and Lowlands, Inverleven and Dumbarton shared a distillery with a column still for production of grain whisky (Dumbarton) and two pot stills for malt (Inverleven). Once upon a time, Dumbarton was Scotland’s largest grain distillery, drawing water from Loch Lomand (not to be confused with the Loch Lomand distillery) of which a Lomand still was introduced from 1959. Inverleven was intended to provide whisky for blending, however blenders never took to the Lomond spirit. While the Dumbarton complex was mothballed in 2002, the equipment from Inverleven has gained new life at the Lochindaal distillery opened by Bruichladdich at Port Charlotte. This entry was posted in Blends, Lowlands, Scotland and tagged Closed distilleries, Dumbarton, Ghosted Reserve 21 year, Inverleven, Ladyburn, William Grant + Sons by Carissa Hickling. Bookmark the permalink.